EXCLUSIVE AT NET-A-PORTER. 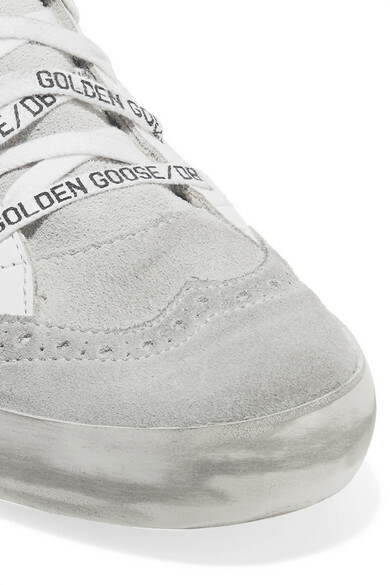 Golden Goose's 'Mid Star' sneakers are defined by their '80s-tinged silhouette. 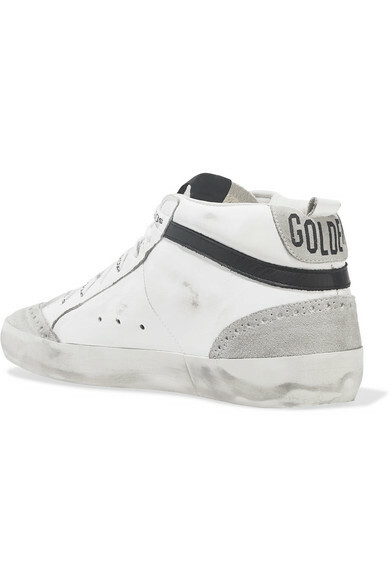 This pair is crafted from distressed white leather and has gray suede trims, detailed with subtle wing-tip perforations. They're finished with a zebra-print pony hair star and a 'GOLDEN' stamp at the heel tab. Shown here with: GANNI Shorts, Goldsign Tank, GANNI Clutch, Leigh Miller Earrings.